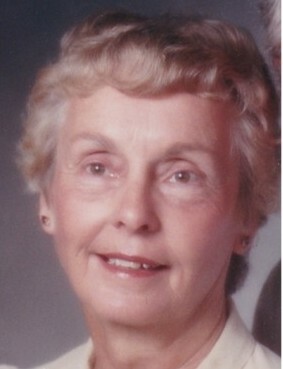 Obituary for Martha L. Wolfe | Drinkwine Family Mortuary, Inc.
Marth L. Wolfe, 92, of Lakewood, Colorado passed away peacefully with family by her side March 27, 2019. Born February 4, 1927 in Denver, Colorado to Oscar Gilbertson and Hazel Marshall. In addition to her parents, Martha was also preceded in death by husband, Edward J. Wolfe; siblings, Florence Pekrul and Robert Gilbertson.. Survived by children,Gail Berman (Howard, San Francisco), Dan Wolfe (Carolyn, Denver), Bob Wolfe (Diana, Durango), Mike Wolfe (Julie, Denver), Ted Wolfe (Katrina, Los Angles), ; 13 grandchildren, 10 great-grandchildren, and many other nieces, nephews and other family and friends.She was a long-time parishioner at St Mary’s Catholic Church, Littleton, CO and a member of the choir. She enjoyed bridge and gardening and supported her family every chance she got. Funeral Mass will be 11 am Friday, April 5, 2019 at St Mary Catholic Church in Littleton, Colorado. Reception following service in Marian Hall. Burial will be 3pm at Fort Logan National Cemetery "Staging Area A."